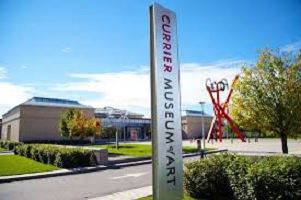 The Partnership for Drug-Free Kids is proud to be working with the Currier Museum of Art in Manchester, New Hampshire, on an innovative new program to help local parents and families impacted by the opioid crisis. “The Art of Hope” aims to give parents and caregivers who are struggling with a child’s addiction a “safe haven” in which to interact with art, share their experiences and feelings and practice “self-care” in a supportive and stimulating environment. The free-to-the-public program brings together the expert educational staff of the Currier Museum and parent coaches trained in Manchester by the Partnership and its clinical partners at the Center for Motivation and Change. Catholic Charities in Manchester also serves as a partner in the program. New Hampshire, and Manchester in particular, has been deeply impacted by the opioid crisis. The state ranks #2 nationally in opioid overdose deaths and #1 in fentanyl-related overdose deaths. Through “Art of Hope,” the Partnership’s parent coaches will bring both the empathy that comes with their own lived experience of a child’s substance use, and the ability to share evidence-based skills that can help parents redirect their child’s motivations – while giving those parents new reason to hope for positive change. Participants will also be connected to the Partnership’s Helpline (855-DRUGFREE), our web-based resources for parents and our one-to-one peer-coaching program. The first “pilot” phase of program will take place over four Monday evenings in February, beginning on Monday, February 5th.